Set the bonsai plant inside in a warm and bright area and always keep in mind that the indoor bonsais cannot tolerate the climate outside most of the time unless you are in a place that has tropical climate. Outdoor Bonsai Care: Place the Bonsai where there is enough sunlight. You can get the bonsai inside for a period of two or three days and the shift it back outside. Take care of the bonsai when the temperature is too low. A number of outdoor Bonsai trees can stand low temperature as well, such as the Cypress and Junipers. Never forget to water the outside bonsais. They must be watered regularly specially in summer. All kinds of bonsai need adequate water thus it is great to fill the container with water and allow it to settle for a few minutes. Also make sure that the container has holes to drain the excess water. 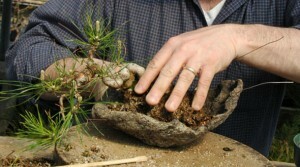 Fertilizing your bonsai is also very essential. They have to be fertilized once in four months. Never fertilize the bonsai when the soil is dry and also never use excessive fertilizes as you might end up burning the roots. As any Bonsai tree is a miniature of the original ones, they must be treated for any diseases or insects in the similar way like the bigger ones. Trimming the bonsai is necessary to get your preferred shape. It is also important to re- pot your bonsai once in two or three years and trim the root balls in order to fit the container. You can make use of small scissors for small indoor bonsais. However you might need pruners to prune bigger bonsai trees. Kinds of Bonsai: There are a number of bonsai. If you are planning to grow a bonsai without much effort then Juniper, Ficus and Cypress are the best to begin with. They are also very easily available. The above bonsai growing tips will definitely help a beginner.